If it is early September, it must mean a migration to the big mountains of Tibet and Nepal. After being closed to climbing last year, Tibet is open and the usual suspects will be busy. 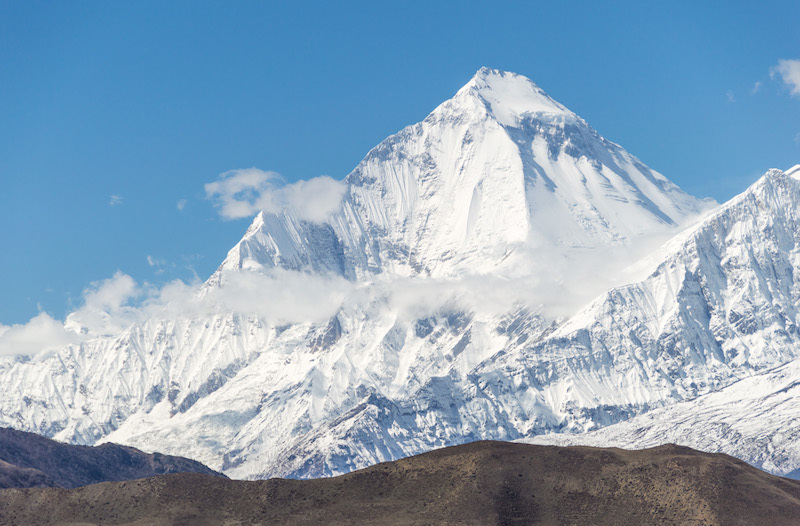 Reports have it that more than 350 foreign climbers supported by over 300 Sherpas will be on the five Nepal and Tibet 8000-meter peaks commonly climbed in Autumn: Manaslu, Dhaulagiri, Lhotse, Shishapangma and Cho Oyu. Also look for teams on Ama Dablam and Cholastse. Usually the autumn climbing season is quiet compared to Everest or K2. The climbs are never “easy” as advertised by many company’s but they are “achievable.” People die every year on these peaks. Cause range from latent health issues brought out by altitude to avalanches to falls in crevasses, so like any climb, take nothing for granted. The world’s sixth highest peak at 26,907’/8201m is the second most popular 8000er after Everest with over 3,500 summits. Everest now has over 8,000 summits. For many years, the Chinese government has made getting to Cho Oyu a gamble with random border closures and unannounced bans on climbing due to fears of protests involving Tibet. 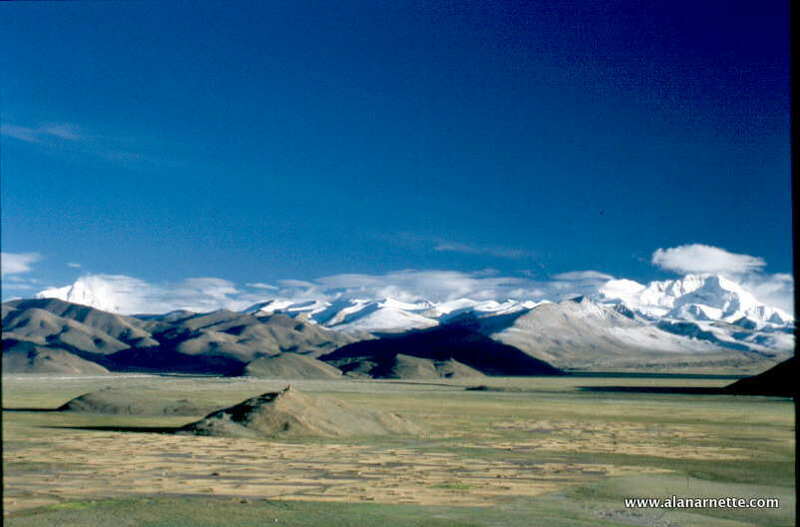 Cho Oyu is generally regarded as one of the most “attainable” 8000 meter peaks with a straightforward climb to a huge flat summit and a dramatic view of Everest. It is often used as a climber’s first 8000 meter climb or as prep for Everest the next year. For 2018, many commercial teams will be there as it is a regular offering when the Chinese cooperate. This year the commercial teams include. There are many Nepali guide companies as well but it is difficult to track them. I will report on them as I can find credible information. Similar to Cho Oyu, Manaslu is regarded as attainable and in recent years has seen a dramatic increase in traffic with the closures and avalanches on Cho Oyu. However, some foreign guide companies refuse to guide on Manaslu feeling the avalanche risk is too great so they focus on Cho Oyu. According to the Himalayan Times, 250 foreigners are expected this year from 18 teams including Adventure Peaks, Adventure Consultants, 7 Summits Club, Seven Summit Treks, Summit Climb, Satori Adventures, Mountain Experience, Climbalaya Treks, Ascent Himalaya, Himalayan Guides and Snowy Horizon Treks. With almost the same number of Sherpas and support staff as foreigners, it will be quite crowded once again in 2018. In 2017 Seven Summits Treks, the dominant Nepali owned and based guide service, posted they had 50 members and 50 Sherpas for the 2018 season including a large Chinese team. Himalayan Experience is scheduled to run a trip in 2018 along with several other western companies. 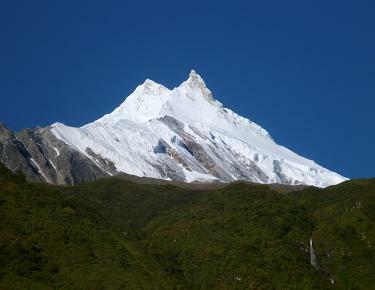 Himex has been guiding Manaslu since 2008. 79-year-old Spanish climber Carlos Soria Fontan will be on Dhaulagiri trying to complete his quest to summit all 14 of the 8000 meter peaks. He has been stopped nine previous times, mostly by weather or avalanche conditions . He says this is his last attempt, #10. He is self funding this tine as all his sponsors pulled out. He is supported by Seven Summits Trek’s sub company 14 Peak and is climbing with Luis M L Soriano. He attempted Dhaulagiri in the spring of this year but was turned back by weather. If he summits Dhaulagiri, he will only have Shishapangma, the only 8000er fully located in Tibet, to summit. Also Kobler is running a trip on Dhaulagiri this year. Hilaree Nelson and Jim Morrison, partially sponsored by The North Face will attempt a ski descent from the summit of Lhotse this autumn. I had reported the team was from Aplenglow and included Adrian Ballinger and Emily Harrington, as originally planned and promoted but AB contacted me to say they had to pull out. Best of luck to all this autumn season.